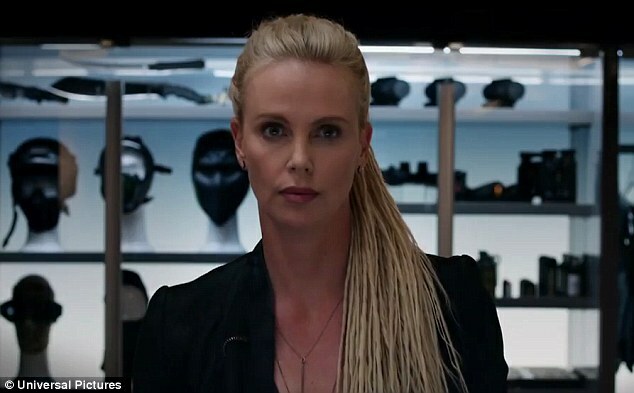 Charlize Theron loomed large as villain Cipher in a full trailer released on Sunday for The Fate of the Furious. The 41-year-old actress sizzled in the trailer for the eighth installment in the franchise as she mixed beauty with danger. 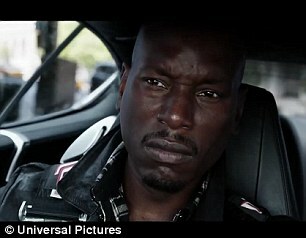 The trailer also featured franchise veterans Vin Diesel, Michelle Rodriguez, Ludacris and Tyrese Gibson. 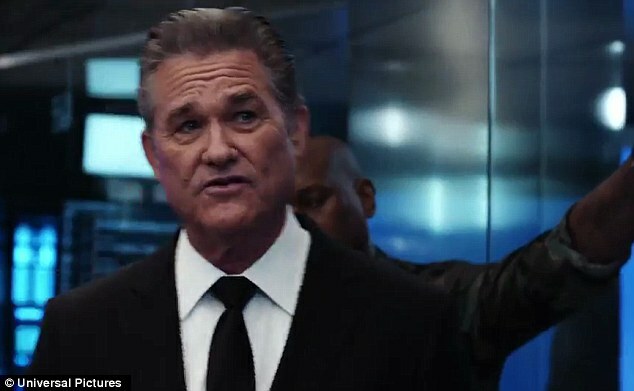 Dwayne Johnson, Jason Statham and Kurt Russell also were shown as they returned for Fast & Furious 8. The trailer was released on Sunday with the cast participating in a special event at New York City's Times Square that was streamed live on Facebook. The three-minute video opened with the crew fleeing in fast cars from pursuers. Dominic Toretto, played by Vin Diesel, sideswiped one of his pals before separating from the group. 'Did you ever think you'd betray your family the way you did today?,' Cipher asked Dom afterward. Dom was then shown looking at an old photo of himself with his former partner Brian O'Conner, played by the late Paul Walker. Frank Petty, played by Russell, then recruits Luke Hobbs, played by The Rock, and Deckard Shaw, played by Statham, to go after Dom. An icy battle then started as the crew took on Cipher and Dom. 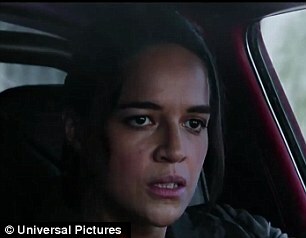 'You gonna turn you back on family,' Dom's wife Letty, played by Michelle Rodriguez, asked him. Dom responded by kissing Cipher. The film directed by F. Gary Gray will be in theaters on April 14. Meanwhile the cast of the action flick gathered to present the film's trailer launch in New York's Times Square on Sunday. 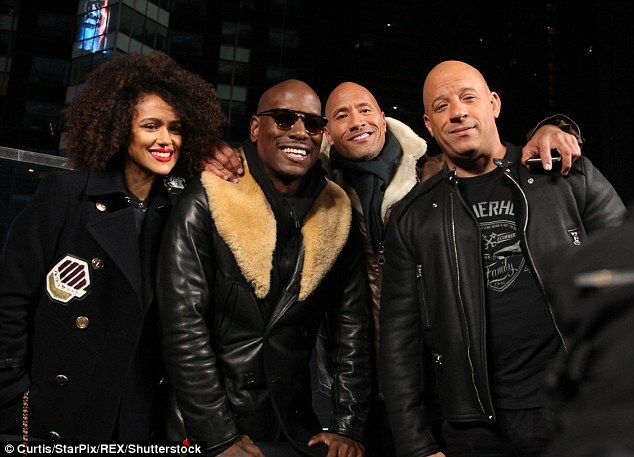 Actors Nathalie Emmanuel, Tyrese Gibson, Dwayne Johnson and Vin Diesel were in high spirits as they greeted fans and discussed the latest installment in the smash hit franchise. 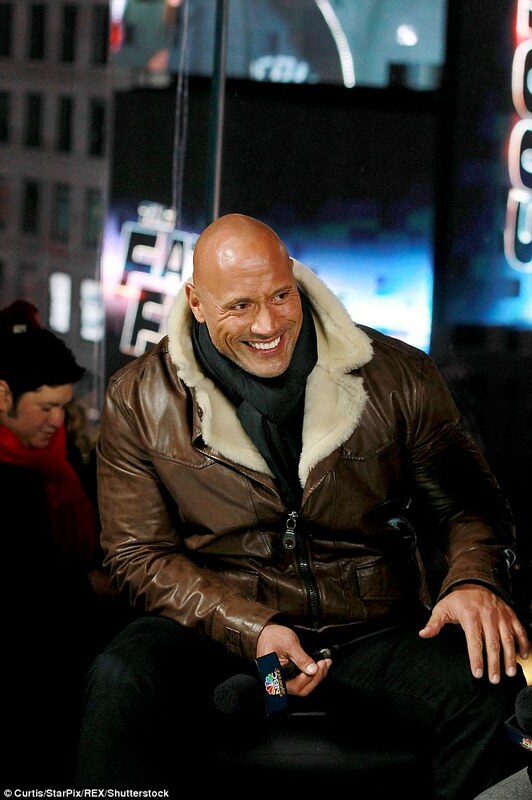 Nathalie, who plays Ramsey in the action flick, flashed a peace sign as she posed with fans, while Vin Diesel wrapped an affectionate arm around co-star Michelle Rodriguez.